There are many adult Australians that have a need for incontinence nappies, also referred to as adult diapers and although it can be an embarrassing topic, incontinence is a very common element for a number of reasons. 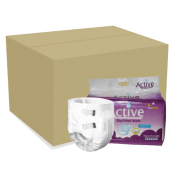 Buying incontinence nappies online has plenty of benefits. 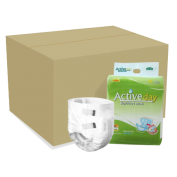 So, if you need them daily, Incontinence Products Direct offer bulk buying and you can also access great discounts on cheap adult diapers. To save you from the embarrassment of regularly purchasing adult diapers in your local chemist or supermarket we sent shipment directly at your home. The delivery can also come in plain packaging, so your neighbors will not see what is in your package. Incontinence Products Direct currently stocks products incontinence pads, adult diapers and adult nappies from BW Generation which are renowned in the marketplace not only for their high capacity and comfort, but cost fraction of the price compared with other commercial brands. Cheap adult diapers with large discounts. Saving your emergency trips to the pharmacy and embarrassment at the checkout. IPD has a variety of disposable diapers for adults and they come in different sizes to offer comfort and confidence. We have great deals and amazing discounts. We can deliver adult diapers straight to your door!